Water damage strikes fast and rapid response is needed. BioResponse responds quickly with experienced technicians and all available equipment to reduce the damage caused by unwanted water. BioResponse is one of Miami’s premier Biohazard cleanup company in South Florida. Working for Local, State, and Federal governments as well as commercial and residential clients to restore properties. Fire can leave a property covered in soot, trenched in water and with a pervasive odor of smoke. Count on the BioResponse team to restore your property quickly and professionally. Firefighter owned and operated. 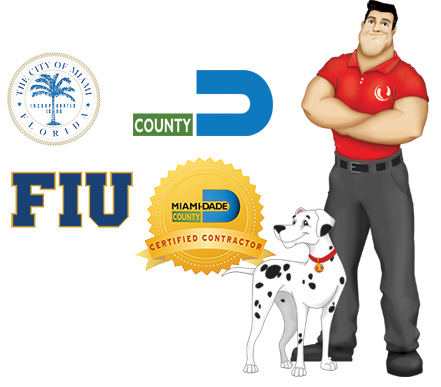 We are Florida Licensed mold remediators with a history of successful clean ups and satisfied clients. Free on-site inspections provided. We have over 10 years of experience handling every size and severity of restorations in the environmental health industry. In those 11 years BioResponse has never closed, always responding rapidly.